Every other Tuesday, Andrea, from Momfessionals hosts Show and Tell Tuesday. Today is all about beauty routines. I year ago I didn't really wear makeup daily, all of my makeup fit in one drawer with all of my other daily essentials, and didn't have much of a face cleansing routine. Let's just say a lot has changed. If you are interested in my makeup story you can see it HERE. 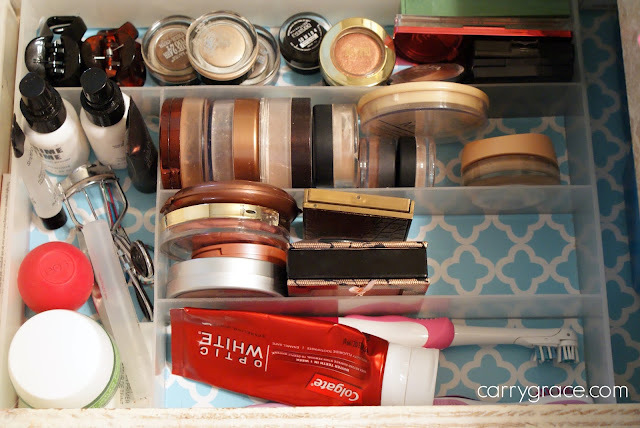 Here's a peek at my makeup drawer and caddy that sits in a cabinet. I don't wear a full face of makeup everyday, but I do most days. I have a lot of makeup, so I switch out my products most days and don't typically wear the exact same thing all of the time. I really like trying new things and my favorites tend to change. I recently posted what I wear on light makeup days, so I'm just going to link to it HERE. 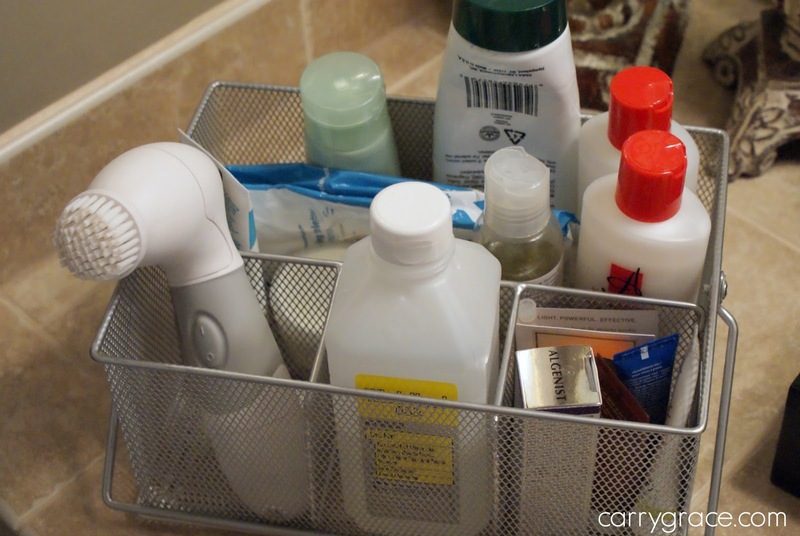 As far as skin care routines, I'm still trying to figure out my favorite products. I do like all of the things that I am currently using, but I haven't been using all of them for a long time. I do like my face bush. It's the Ulta brand one that is around $25. I remove my makeup every night with a makeup removing wipe and then use a cleanser with my face brush. I then tone with witch hazel and use an AHA lotion. I finish with an oil of some kind as a moisturizer. Each morning I just wash my face (no brush), tone with witch hazel, and use a regular moisturizer. I am liking the Garnier Moisture Rescue Refresh Gel Cream for the Summer time. I keep my nails painted most of the time. I usually paint my nails 1-3 times a week. 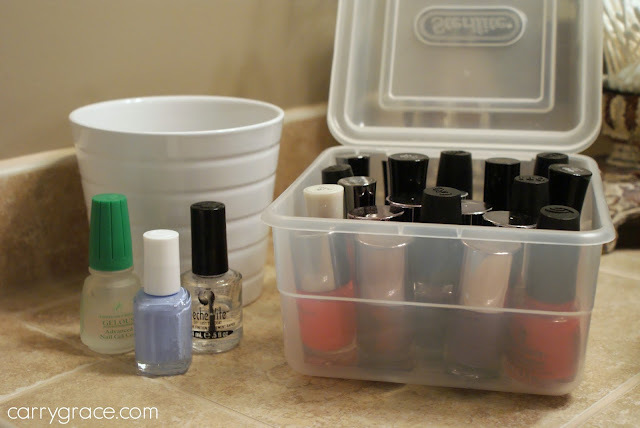 I store my polish in this plastic CD case and keep all of my top/base coats in the white flower pot with the current color I am using. I don't discriminate when it comes to brands of nail polish, but I've been wearing Essie Bikini So Teeny a lot this Summer. I normally reach for Gelous as my base coat and Seche Vite as my top coat. If there is anything else you want to know, just ask me in the comments. Thanks for stopping by. *This is not a sponsored post. None of the links are affiliate links, just thought you might want to know where to find some of the products. I love using the maracuja oil as a moisturizer too! It is quickly becoming a favorite! It's good stuff. 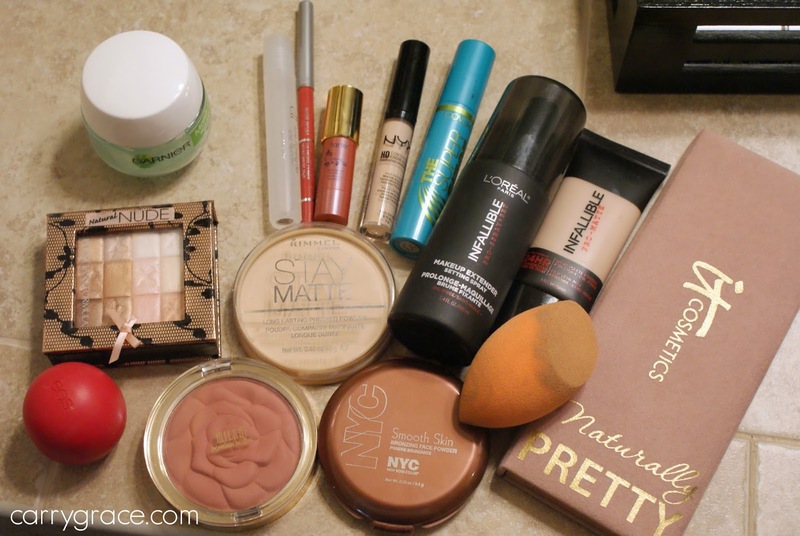 I use a lot of the same products! I tried something from Alpha Hydrox a while ago and loved it. I have to pick up some more of their products! Witch Hazel is also an incredible product. I got little towelettes that are perfect for post-gym! Oh, the little towelettes are a great idea! I need to remember that. Wow, such a thorough post and I love reading about and seeing what skin and makeup products others are using. I have that Urban Decay eye shadow palette and LOVE it, I want to get the other two sets eventually. 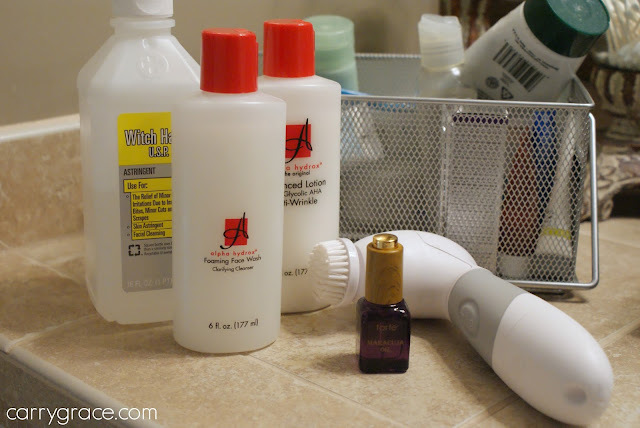 I have a clarisonic mia and I use it every night and it has done WONDERS to my skin. I also really like to put vitamin C serum on my face before my lotions and makeup. It looks like you have a good storage system down. I'm so glad you enjoyed the post! All of the naked palettes are so pretty. The face brushes really are great. My face is in much better shape since I started using one. I started with the Ulta brand to see it I would stick with it. I may go ahead and get the Clarisonic at some point. I'm still really happy with the one I have, so I'm not in a hurry. Vitamin C serums are really nice! I have a few different oils that I rotate. Thanks so much for stopping by! 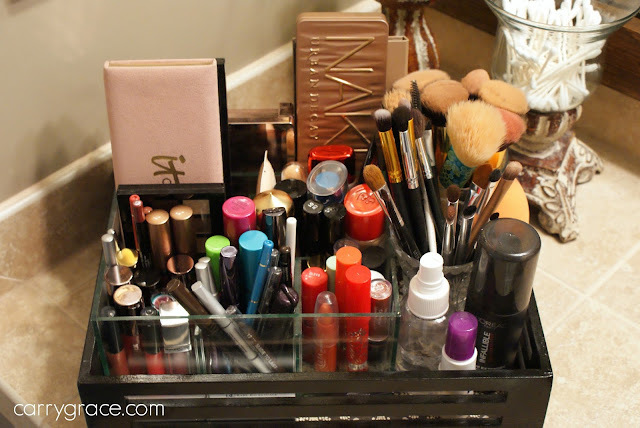 I love seeing a peek into makeup collections! I love the infalliable line, especially that setting spray. I wish I could just spray that on my face 24/7. Love your organizers too. What a fun post! I like looking at everyone's makeup, too! It's just fun. The infallible line is great. The setting spray feels so good. It has been a must this Summer. I like the foundation a lot now that I have the correct shade. It took me a few tries to get it right. I'm so glad that Ulta has such a good return policy!